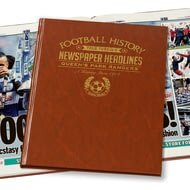 Capture the history and greatest moments of Chelsea football club through the newspapers, as written at the time. 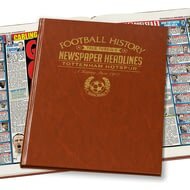 Capture the history and greatest moments of Tottenham Hotspur football club through newspapers written at the time. 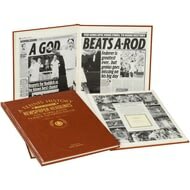 Relive some of the greatest moments from 'The Sport of Kings' as reported at the time in national newspapers. Relive the glorious moments of Welsh Rugby Union from 1905 with this book. 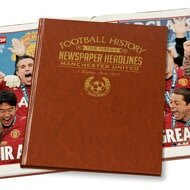 Capture the history and greatest moments of Manchester United football club through newspapers written at the time. 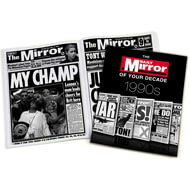 Take a look back at what was making the headlines during the first ten years of your life. 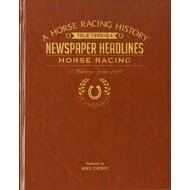 This book contains over 100 news reports of major events from that decade. 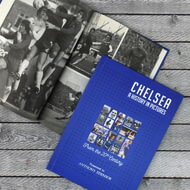 With decades of historic images from Chelsea’s history, the Blues fan in your life will love this unique and thoughtful gift. 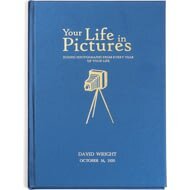 Personalised with the front page headline from their date of birth, Your Life in Pictures is an ideal gift for those who love to look back and reminisce about times gone by. 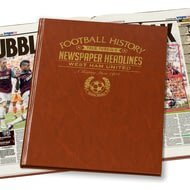 Capture the history and greatest moments of West Ham United football club through newspapers written at the time. 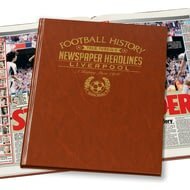 Capture the history and greatest moments of Rangers football club through newspapers written at the time. 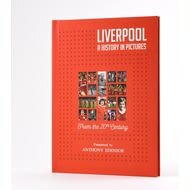 This year book is an ideal birthday gift. 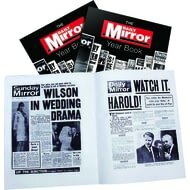 Choose a date from any 20/21st century year and you will receive the reproduction of a complete daily newspaper from that day. 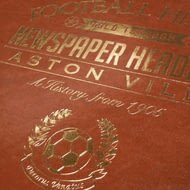 Capture the history and greatest moments of Aston Villa football club through newspaper articles written at the time. 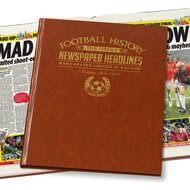 This book comprises newspaper reports from the time of Manchester United's greatest games in European competitions, including the best and the worst possible moments. 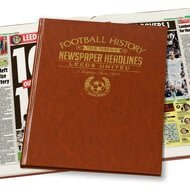 Capture the history and greatest moments of Leeds United football club through newspapers written at the time. 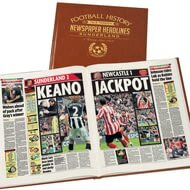 Capture the history and greatest moments of Sunderland football club through newspapers written at the time. 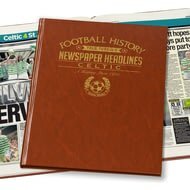 Capture the history and greatest moments of Celtic football club through newspaper articles written at the time. 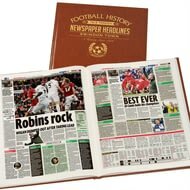 Capture the history and greatest moments of Wolverhampton Wanderers football club through newspapers written at the time. 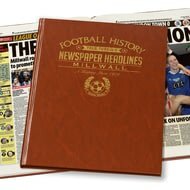 Capture the history and greatest moments of Millwall FC football club through newspapers written at the time. 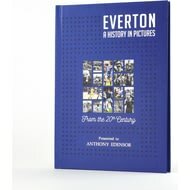 A striking way for fans to keep momentous photographs of their club, this book will soon be a treasured possession. 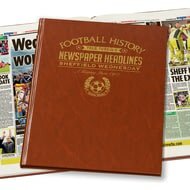 Capture the history and greatest moments of Sheffield Wednesday football club through newspapers written at the time. 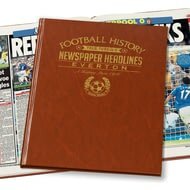 Capture the history and greatest moments of Everton football club through newspapers written at the time. 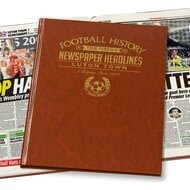 Capture the history and greatest moments of Luton Town football club through newspapers written at the time. 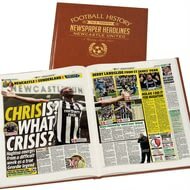 Capture the history and greatest moments of Newcastle United football club through newspapers written at the time. 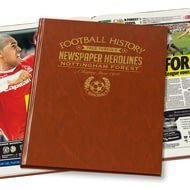 Capture the history and greatest moments of Nottingham Forest football club through newspapers written at the time. 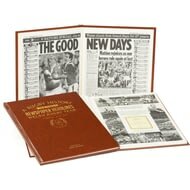 Newspaper coverage of Wigan Warriors from 1929 to end of last season. 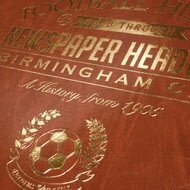 Relive the top games and newspaper headlines as reported at the time. 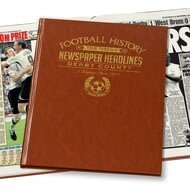 Capture the history and greatest moments of Derby County football club through newspapers written at the time. Memorable British wins by Fred Perry, Ann Jones, Virginia Wade and Andy Murray are part of the history of the greatest tennis tournament in the world. Formula One motor racing is big international business these days with a worldwide audience. 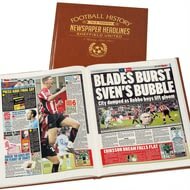 Capture the history and greatest moments of Sheffield United football club through newspapers written at the time. 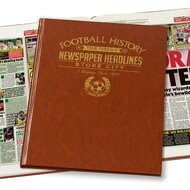 Capture the history and greatest moments of Hearts football club through newspapers written at the time. 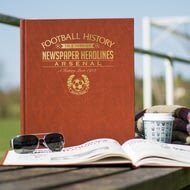 Capture the history and greatest moments of Swindon Town football club through newspapers written at the time. 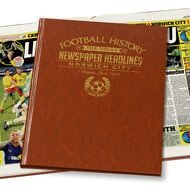 Capture the history and greatest moments of Norwich City football club through newspapers written at the time. Some of the greatest boxers from the past 100+ years are featured in this historic record.